Results from a Phase III trial that attempted to shorten the treatment duration for drug-sensitive pulmonary TB from four to six months, by using gatifloxacin instead of ethambutol, showed that the shortened treatment duration was inferior when compared to the standard treatment course. Results from the OFLOTUB trial were presented earlier this month at the 44th World Conference on Lung Health in Paris. 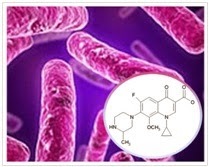 A previous study, RIFAQUIN, found that it was not possible to shorten the TB treatment regimen from 6 months to 4 months by use of moxifloxacin and rifapentine twice weekly in place of rifampicin and isonazid in the continuation phase of TB treatment. The non-inferiority, blinded, randomized control trial was conducted in Benin, Guinea, Senegal, Kenya, and South Africa. In the control arm of the study, 919 people were given the World Health Organization-recommended six-month course of TB treatment, whereas 917 people in the test arm received 400mg of Gatifloxacin, six days a week, in place of ethambutol for two months, followed by two months of treatment with gatifloxacin, rifampicin and isoniazid. All participants were adults with new TB diagnoses. The study considered patients’ “unfavorable” outcomes as a composite endpoint at two months, end of treatment, 18 months, and 24 months, with the primary outcome being at 24 months. At two months and end of treatment, those in the intervention arm fared better. However, 24 months after completion of treatment, a larger proportion of people in the Gatifloxacin-containing arm had unfavorable outcomes (20.9% vs 16.8%) due to a higher frequency of tuberculosis recurrence. Therefore the Gatifloxacin-containing regimen was found to be inferior to standard TB treatment instead of being considered safe and well-tolerated. It led to a lower probability of experiencing a prolonged QT prolongation, something very important because almost all the [new] drugs in the pipeline have QT prolongation issues. Interestingly, different countries demonstrated different outcomes. It was noted that countries where participants had lower BMIs when they began treatment – such as Benin and Guinea – did better on treatment than those with higher initial BMIs. All patients, regardless of body weight, were given 400mg a day of gatifloxacin. A pharmacokinetic study is currently being conducted in South Africa to determine if the regimen’s effectiveness could be improved with a more personalized dosage. For Corinna Merle, the clinical investigator who presented the findings, the intricacies found in the OFLOTUB trial suggest that more research should be conducted, and that gatifloxacin shouldn’t be discounted as a potential TB regimen yet noting that is a generic drug. Written by Dra. Belén Suárez Jiménez for The All Results Journals.